Indulge in sweet luxury with an assortment of incredible chocolate-covered strawberries. Each of these half a dozen strawberries is hand-dipped in real milk, white, or dark chocolate, and finished with toppings like almonds, chocolate chips, toasted coconut, or chocolate drizzle. 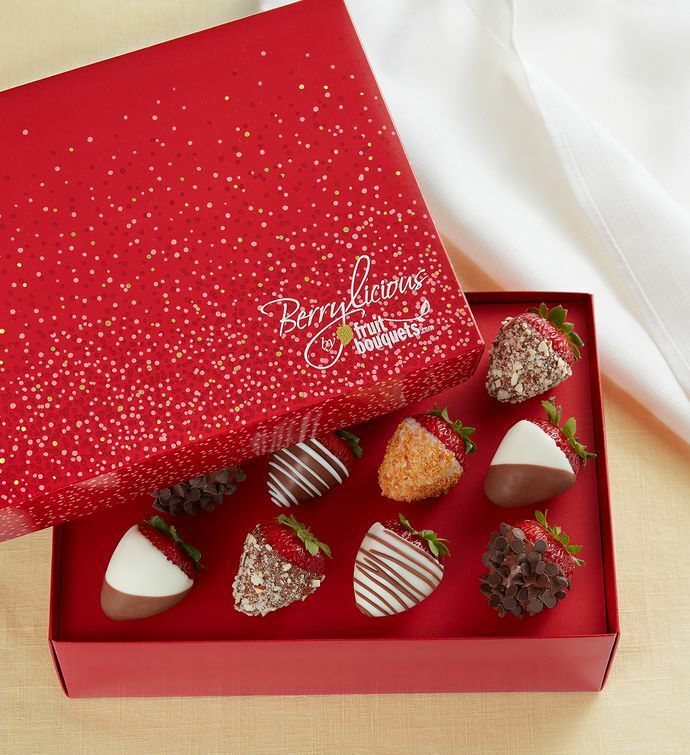 Perfect for enjoying to yourself or sharing with a friend, these berries ship overnight and arrive in a decorative Berrylicious® gift box.